Falcon Fright Night Thank You : Last Friday night was a fun night for all. I would like to thank the parents that came to the Athletic Booster table and signed up to be a member of the Athletic Boosters. As a group, we will see what we can do this year that will be fun for all the children and the parents. Please remember that with your membership you are permitted to attend all home basketball games for free. Hope to see you at our home games! 2018 Basketball Team: Under the leadership of our new coaches, Brad Walker and Andy Goodman, we have high expectations for our varsity team. Let’s bring the championship home! Their season opens on Tuesday, November 13 at St. Mark’s at 4:00 pm, then away again at Cape Fear Academy on Thursday, November 15, also at 4:00 pm. Please take some time to come and watch these young athletes. We don’t have enough girls in grades 6-8 for a team this year. We tried also to put together a JV team from our 4-5 th grade girls, but we ran short of interested girls. Let’s hope we have a different result next year. Sign Up Genius: A SignUp Genius will be organized for all of our home basketball games. Help is always needed to make the events run smoothly. At each home game we will need someone to work admissions, the scoring table, the concession stand, and cleaning up the gym at the end of the game. Please offer a hand. You do not have to be a parent of one of our basketball players to help. I would love to see some new faces in these positions. Remember – it is lots of fun, and your help is really appreciated. Games usually last about an hour and a half. Take the time to watch a good game, support our team, and help make each game run smoothly. 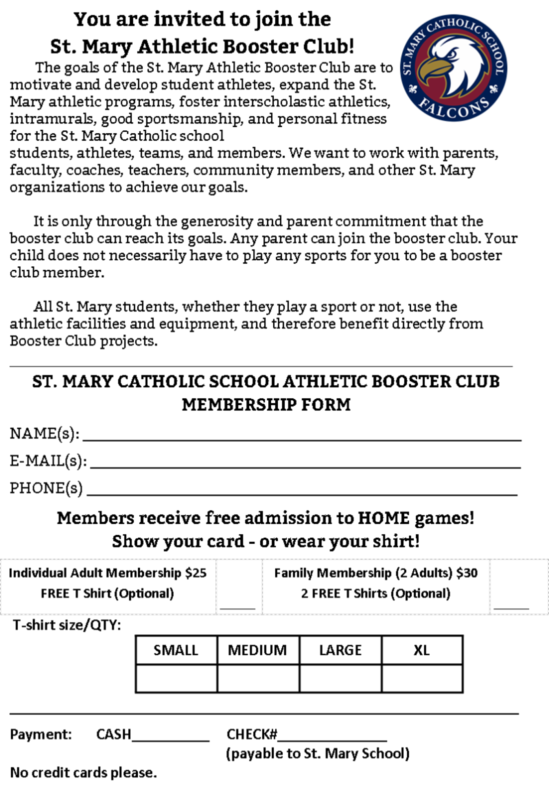 Scoreboard workshop: On Tuesday, November 6, and Thursday, November 8, I will be offering a workshop from 3:00-3:30 demonstrating the 2 components of our new scoreboard. Please come out and see how easy it is. 3 v 3 Tournament: Last Sunday, under the direction of Sean Frelke, parents and players who came to play and help during our first 3 v 3 tournament had a great time. I would like to have this event again for our young players as well as our parents. I will let you know the date and time soon. Check out the pictures on the Falcon Booster Facebook page! Questions: Should you have any questions about our athletic program, or if you are interested in helping in any way, you can reach me via email ( viollisa@thestmaryparish.org ) or see me in the gym Monday through Thursday 3:00-5:30. 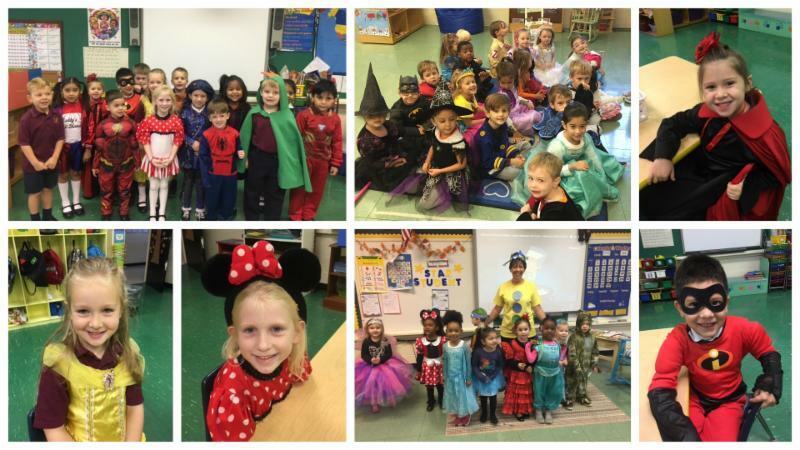 PreK - Kindergarten Annual Halloween Parade happened this week! See more pictures HERE! In that we will not be taking a day off of instruction for the conferences this year, we invite parents who would like to meet with their child’s teacher to contact the teacher by email to request a time during their planning periods or before or after school. Teachers who feel a need to meet with a parent regarding a student’s performance will be contacting parents individually. 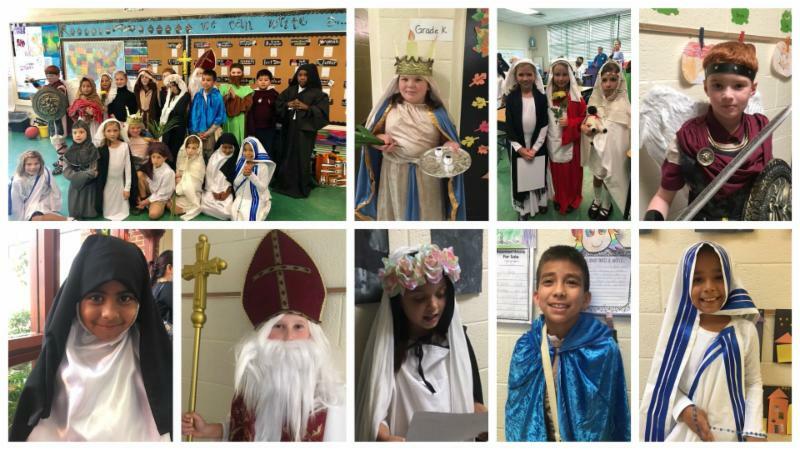 All teacher emails are their (last name, 1st initial)@thestmaryparish.org .